Landscape Solutions is an industry leading ‘full-service’ landscaping company. 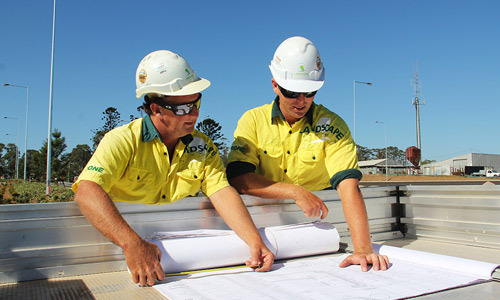 From large scale civil works, to commercial and multi-residential projects, sporting precincts, public open space and recreation facilities, Landscape Solutions are the external works, construction and maintenance specialists. Chat to us by calling 09 448 1227 today. "They can't do a lot to stop the tide coming in but they sure do a great job maintaining the lawns to make the park look good. Who ever has the contract with the council to maintain this park does an awesome job." "The hort and mowing teams did a stunning job...you can clearly see that care has been taken to clean the pavers, the memorial itself and the gardens and lawns looked lovely. The cleaning team did a sterling job cleaning up the little shrine... it is gleaming clean in the photo where the community groups are laying wreaths." "Memorial drive is a very important part of the community and it was incredibly heart warming to see how your employees took pride in their work and were very aware of what the park represents to the community and to Servicemen/Women and their families."